Just starting to read through your archives here. The art here is stunning! Brilliantly conceptualized and really enthralling. i love this comic, its brilliantly put together, and your unique style is so refreshing. everything works really well. i want Jormungandr! Oh cool! Makes sense. Sounds like it might mean Midgard Snake or Serpent or something like that. Thanks! I just started reading this (yay, tumblr.) and I’m at work and shouldn’t chuckle every two minutes, but I do. 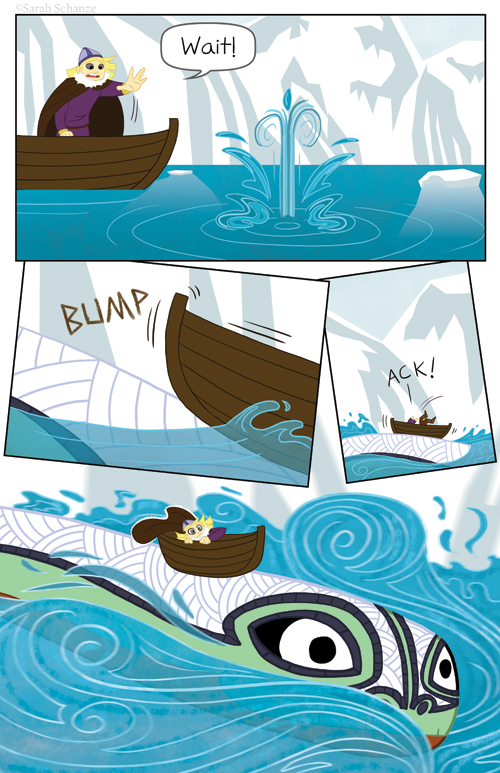 The way you drew the water in that last panel is just. It’s soooo good. It’s awesome.